In the light of scares about potential pandemics such as swine fever and avian flu, the issue of global health and its governance is of increasing concern to scholars and practitioners of medicine, public health, social work, and international politics alike. Offers an in depth analysis of the effectiveness of global health interventions, focusing particularly on HIV/AIDS, tuberculosis and malaria. 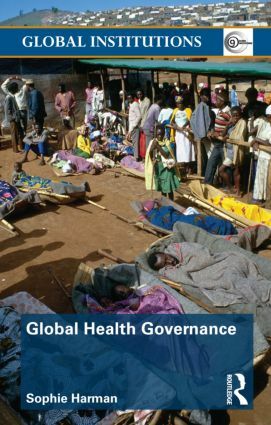 Highlighting the wide variety of actors, issues and approaches involved, this work shows the complex nature of global health governance, forcing the reader to examine who or what really governs global health, to what outcome, and for whom. 1. Approaches to global health governance 2. Institutions of global health governance 3. New actors in global health governance 4. The big three: malaria, HIV/AIDS, and tuberculosis 5. Neglected health 6. Global health governance for whom? Sophie Harman is a Senior Lecturer in the Department of International Politics, City University. UK.